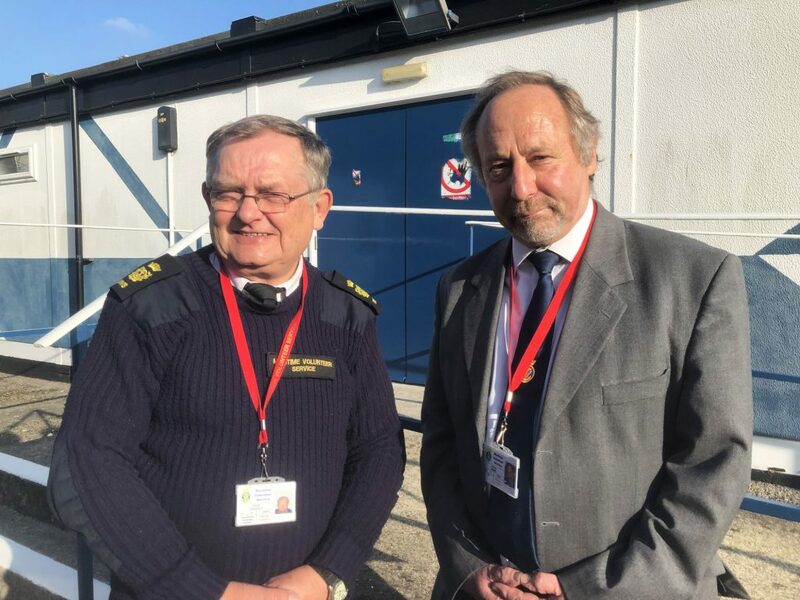 The MVS came together at Poole in Dorset for a productive AGM of the service where it was resolved to put the differences of the last 12 months behind us. 94 members from around the country gathered to hear outgoing chairman Captain Tony Minns open the meeting before handing over the reins to maritime journalist David Hughes who is also HOU at East Sussex. You can read the Chairmans address here. After lunch David Hughes thanked Tony for all his efforts over the last few years and presented him with a tankard on behalf of Council together with an Honorary Life Membership so that Tony will not be allowed to disappear over the horizon just yet. A helpful open session was held in the afternoon with several speakers giving their views on the way forward for the MVS. Many thanks to Nigel Barrow and the Poole Unit for their hard work in arranging the meeting.